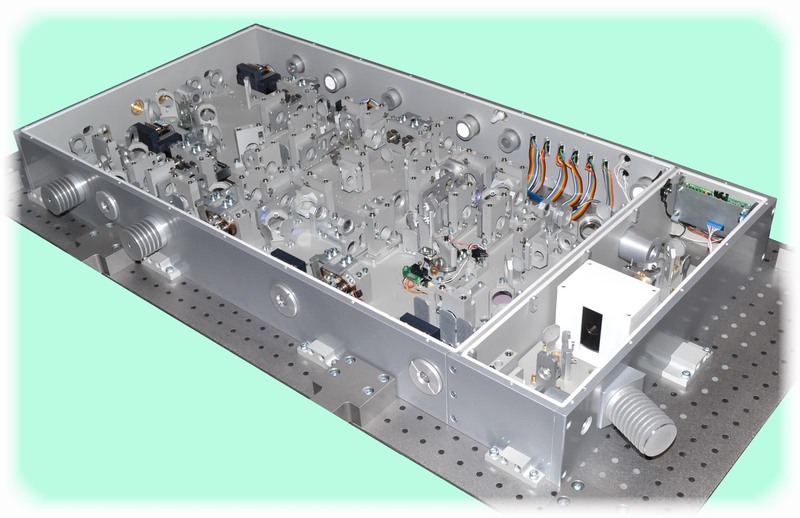 SOLAR LS produces a widest range of standard solid-state lasers. However, for solving some particular issues, our Users often need unique systems adapted for the requirements of certain experiments or specific tasks. 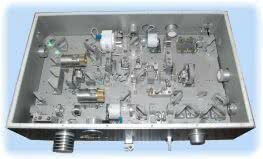 For more than 25 years of work in the international photonics market SOLAR LS has acquired huge experience in developing such systems. 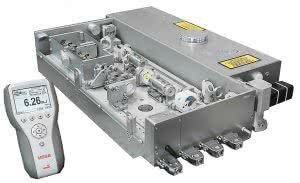 First, we have a wide range of standard lasers and non-linear converters which can supplement each other thus creating different configurations. Second, we already have a lot of systems as well as their parts and units designed during many years of performing development projects. 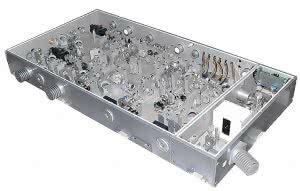 Third, we have the group of highly skilled and qualified specialists in the field of laser physics, mechanics and electronics professionally dealing with development of such systems. When designing such systems, we take into account the Customers’ requirements from the point of view of spatial configuration, laser radiation parameters and possibilities to control the whole system or its separate units. 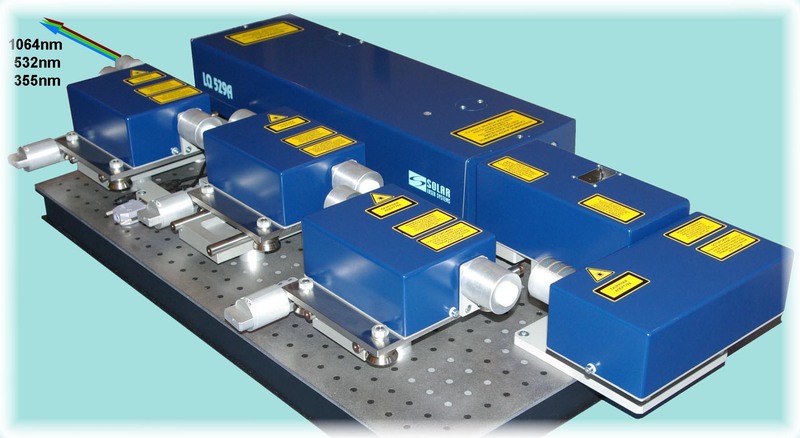 Please, contact us to create your unique laser system. 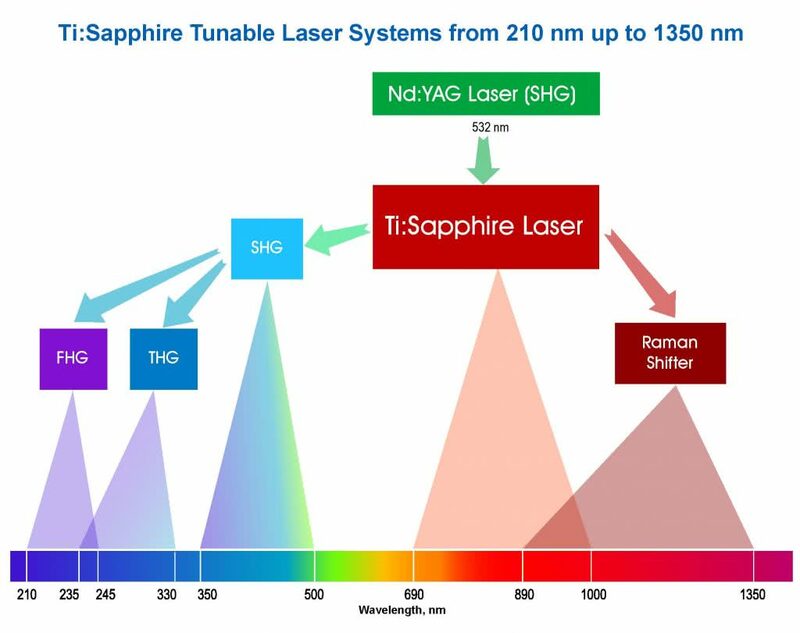 The laser systems developed and offered by SOLAR LS can provide at the output a number of fixed wavelengths as well as tuneable radiation in different spectral ranges. 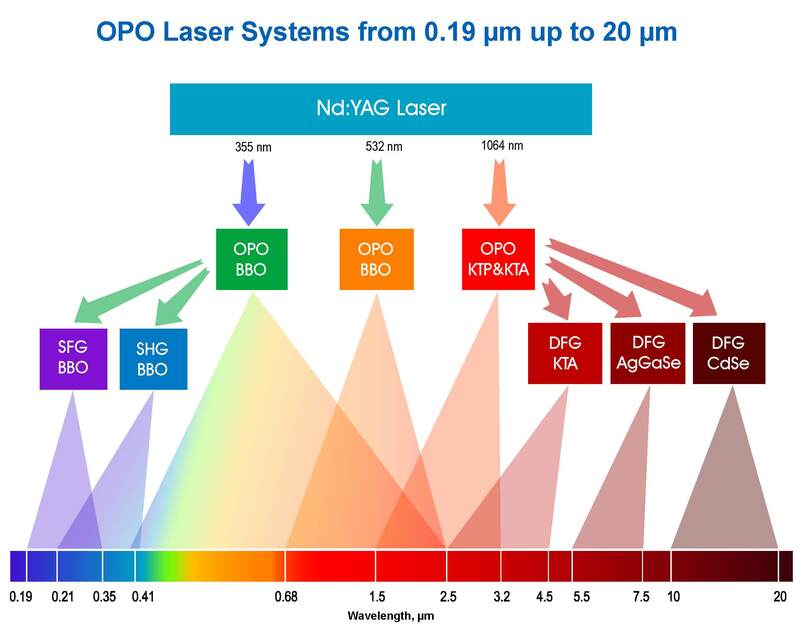 Combination of various laser and non-linear converters based on advanced active media and non-linear crystals allows us to realise laser systems providing continuous wavelength tuning within the range from 0.2 µm to 20 µm. 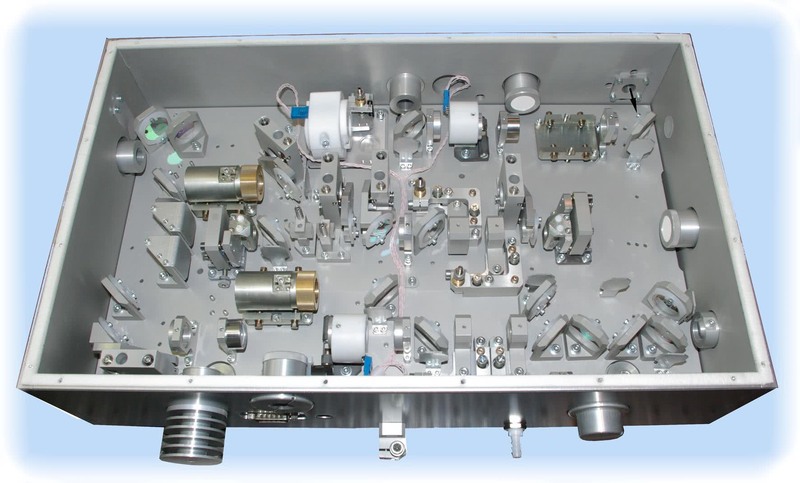 Depending on the requirements to the laser system, as parts of the laser system can be used both our standard models and specially developed ones. 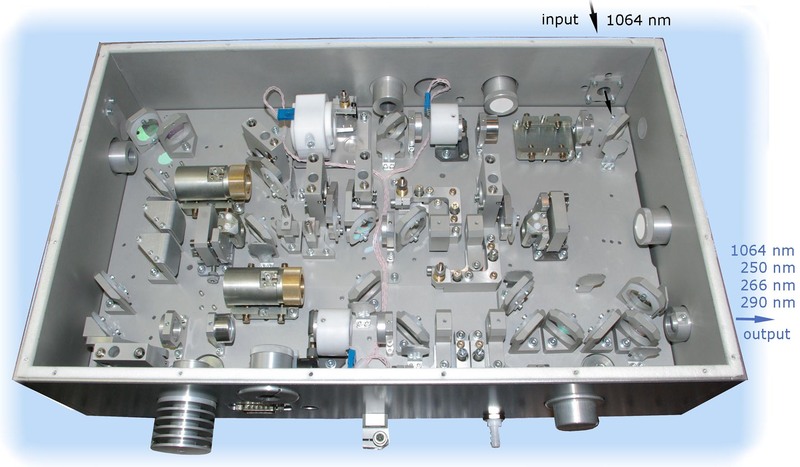 Wavelength tuning is performed either manually by micrometric screws or by actuators via PC. 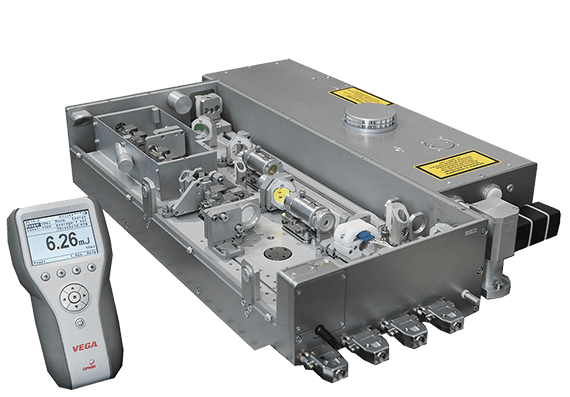 For real-time control over the operating wavelength (including in the wavelength range of 3…20 µm) the laser system can be supplemented with an original compact laser wavelength meter. 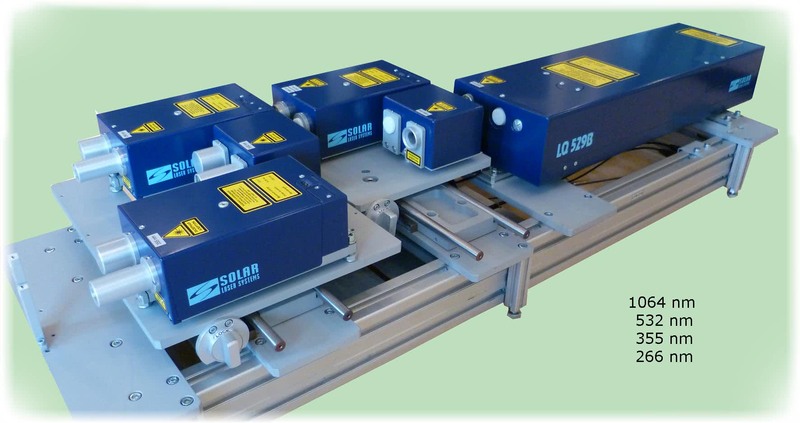 In this section you can get acquainted with some of the laser systems developed by SOLAR LS under orders of our Customers. Feel free to contact us for more information about the systems we designed, their detailed specifications and applications. Inform us of your requirements and we will offer you the best solution for your tasks within the shortest time. 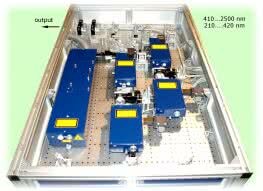 The laser system provides output radiation at 1064 nm, 532 nm and 355 nm (or 266 nm) with smooth pulse energy adjustment from 0 to 100 mJ and is intended for remote probing and location of various objects. power supply and cooling system are integrated into a common compact rack controlled via the remote control unit or from PC. 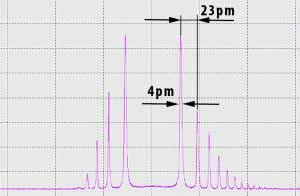 * Output energy values depend on the Nd:YAG laser model. 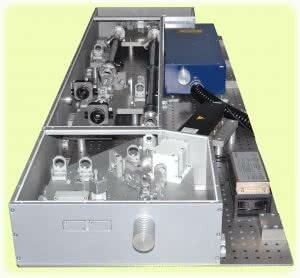 The laser system provides output radiation at one of the four wavelengths: 1064 nm or 532 nm or 355 nm or 213 nm and is intended for laser plasma generation in solids, liquids and gases and for optical measurements. The laser system provides simultaneous output at four wavelegths: 1064 nm, 290 nm, 266 nm and 250 nm propagating in one direction and is intended for identification of objects basing on spectral characteristics of reflected signal. 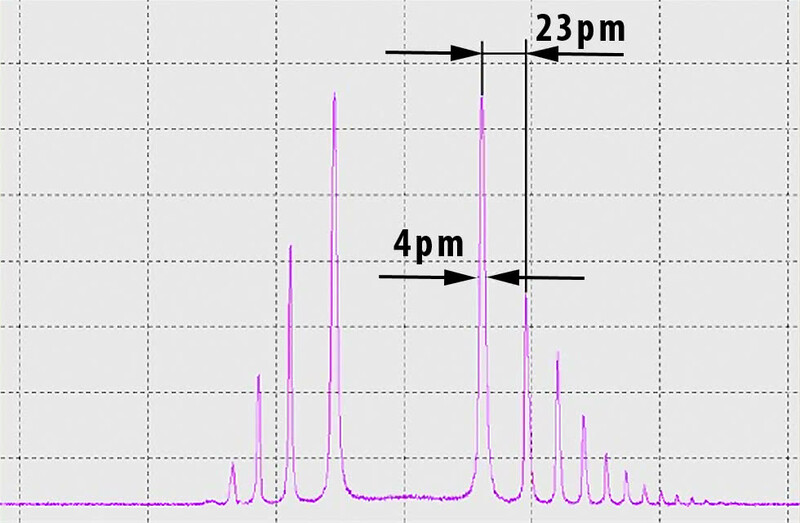 other wavelengths in the UV spectral range can be provided. * Other output wavelengths can be provided upon the Customer’s request. 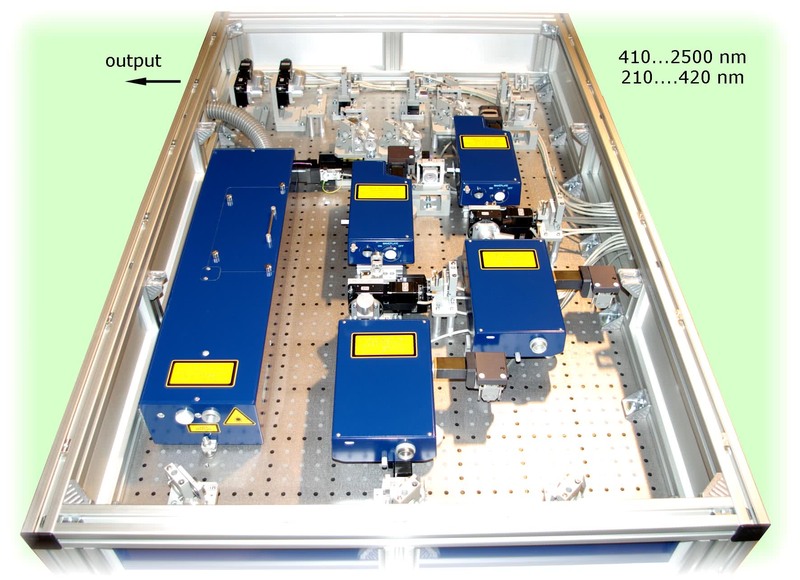 ** Output energy values depend on the Nd:YAG laser model. The laser system is based on BBO non-collinear two-stage parametric amplifier and is used as the initial cascade for amplifying laser pulses within the spectral range of 1030…1055 nm. Amplified pulses are generated by diode-pumped lasers based on media activated by ytterbium ions. spatial filters in the parametric amplifiers channels. 210 nm…236 nm with output energy up to 10 mJ. The laser system can be used in LIDARs and for spectroscopy. tuneable radiation within the range of 210…420 nm. 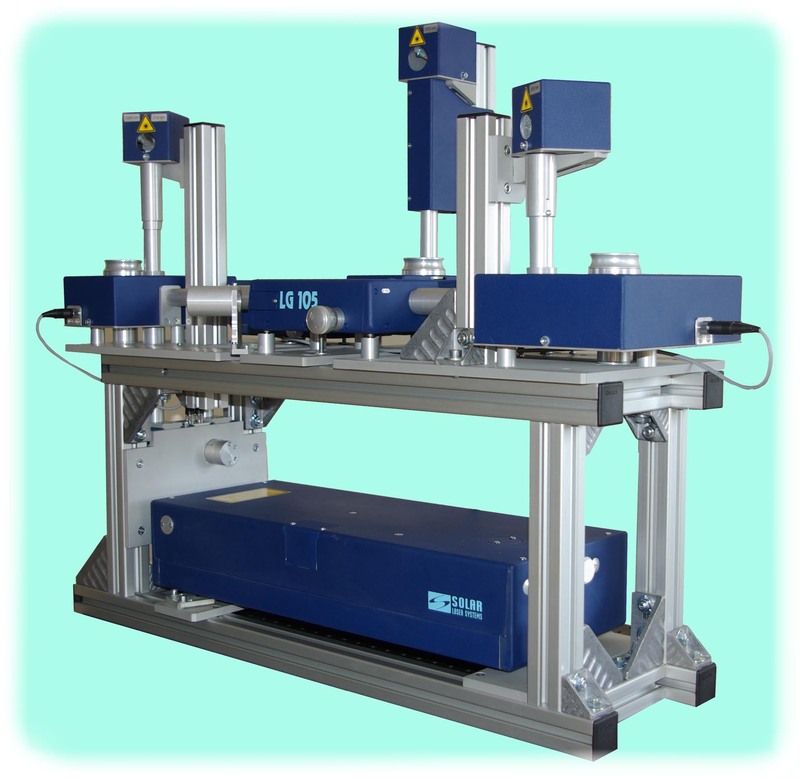 The laser system is used for detection of dangerous explosives, toxins or narcotics in the controlled space. It can also be used for remote control over the level of content of harmful contaminants in the air of megalopolises – methyl and butane compounds, mercury compounds vapours, plumbum, phenol, etc. thermally stabilised Faraday isolator is used to protect the pump laser from back reflected beams. SOLAR LS specialists have wide experience of work in research and development laboratories. That is why we are well aware of the problems scientists face when choosing equipment for their laboratories. Allocated budget, need for laser radiation sources of different wavelengths, specific requirements to these sources and registration systems as well as project implementation periods and merely absence of space in a laboratory. All these distract from brilliant scientific ideas and plans on their implementation. To help scientists occurring in such situations our company implements the Set us a Task! Programme. 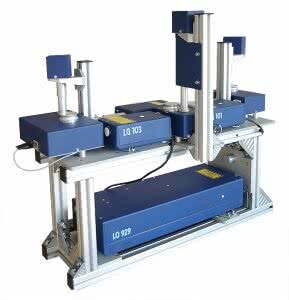 Within the frames of this Programme we offer our Customers to order laser equipment developed to meet their individual requirements and to handle the tasks they face to the maximum. 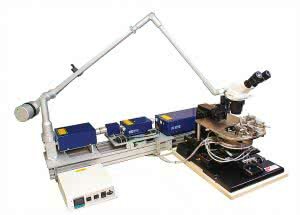 Thanks to a rischest experience of our specialists and time-proven schematic and technical solutions, such laser equipment under individual orders is available for our Customers at almost the same price as for budgetary standard lasers while the lead time may fit in three-four months from the moment of coordination of the Technical Requirements. It will take you 5-10 minutes to fill in the questionnaire below. This will give us an opportunity to better understand your requirements to a laser or laser system. Our specialist will contact you within five working days to offer a configuration of your laser systems and to inform you of its expected cost. … and many other features in a compact and thoroughly verified design developed specially for you. TRY. IT IS REALLY CONVENIENT! WHICH WAVELENGTHS OR SPECTRAL RANGES YOU ARE INTERESTED IN? WHAT LASER PULSE DURATION SHALL BE PROVIDED? WHICH AVERAGE POWER OR LASER PULSE ENERGY DO YOU NEED? IN WHICH CONDITIONS DO YOU PLAN TO USE THE LASER SYSTEM?